Old postcards are fascinating, they are like windows into the past. I enjoy looking at them online and, if I really like them, I buy them. Recently I succumbed to these two postcards of the 15 inch gauge Fairbourne Railway locomotive Dingo. 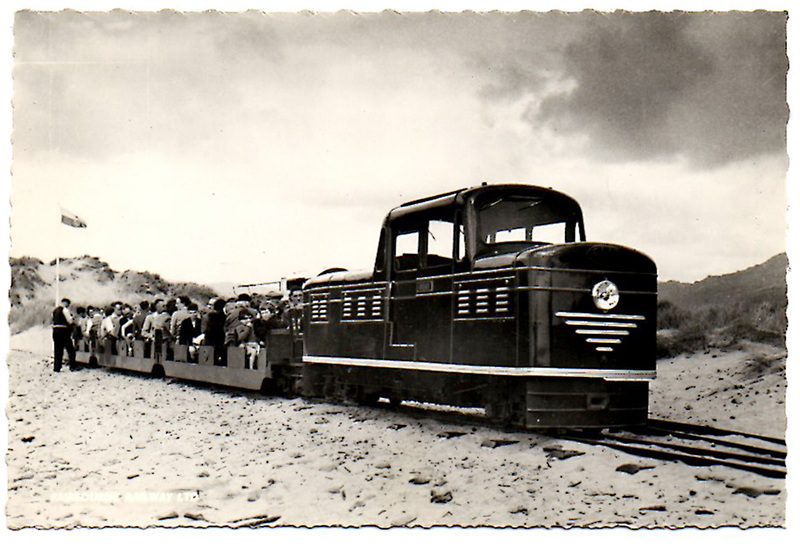 In the 1940’s the only locomotive capable of hauling larger passenger trains on the Fairbourne was the Bassett-Lowke’s Class 30 steam loco Count Louis. The railway decided to build a powerful internal combustion locomotive capable of substituting for Count Louis if required. Originally entering service in the summer of 1951, the new locomotive was powered by a 2.5 litre Daimler car engine and had two gearboxes to enable it to travel in both directions in a complete range of gears. The engine was the same as the one used in Second World War Daimler Dingo scout cars and this is how the locomotive got its unusual name. At first the cab was open but this proved unsatisfactory and the bodywork was undated in 1954. The postcards I brought show the elegant, updated body and attractive two tone green livery with gold lining. 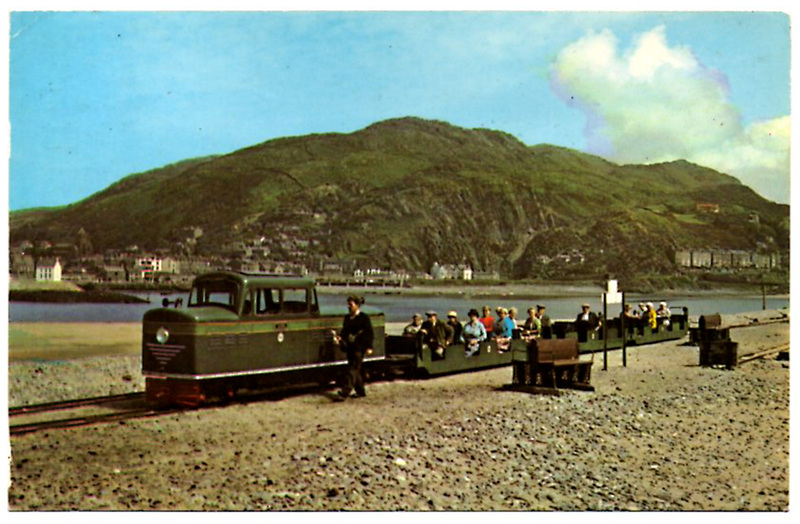 The colour postcard is postmarked 1973, only two years later the locomotive was withdrawn from service and dismantled. Apparently, the bogies are still in existence but the bodywork was scrapped. Ugh! How could anyone scrap something so elegant! I like the 1950’s styling and livery of Dingo a lot and I’m sure sometime in the future I will make a model of her. But it won’t be soon. I’ve never scratch built a loco and I think I’ll need more experience before attempting all those curves.